NEW DELHI: New York-listed contractor Schlumberger - the sole bidder in state-owned ONGC's tender for raising oil production from aging fields - has sought several deviations from the bidding norms, including projection of a 26-27 per cent decline in output in next few years. India's leading national oil company launched its initial tender for Production Enhancement Contracts (PEC) in April 2018 for raising output beyond the business as usual (BAU) scenario from two aging fields. Schlumberger submitted the only application for Geleki, while ONGC received no bids for Kalol oilfield in Gujarat. Sources privy to the development said Schlumberger is projecting a 26-27 per cent decline in base production in next few years and has sought several deviations in tender norms for infusing technology to raise output over this base. 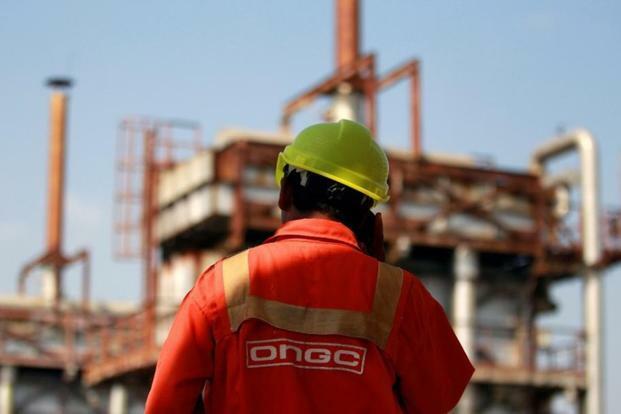 The government has been pushing ONGC to hire international oil service companies to raise output from its mature oilfields as it saw the foreign companies as the answer to declining production from ageing fields. Last year, ONGC had shortlisted Schlumberger, Halliburton and GE subsidiary Baker Hughes for raising output from Kalol field in Gujarat and Geleki field in Assam. At the close of bids, only Schlumberger made a financial bid for Geleki field, the sources said. No bid was received for Kalol field. The service providers will be paid a fee for raising output beyond an agreed baseline production. The state-owned form is discussing with Schlumberger the deviations sought by it, according to the sources. ONGC top brass, they said, are keen to conclude a contract with Schlumberger soon to get the project going. Based on experience of the Geleki bidding, the company plans to bring out similar bidding for few other ageing oilfields. ONGC is looking to raise domestic output quickly to meet Prime Minister Narendra Modi's target of cutting import dependence by 10 per cent by 2022. India currently imports over 83 per cent of its oil needs. Originally, ONGC had on December 7, 2016, signed a Summary of Understanding (SoU) to give Kalol field to Halliburton and Geleki field to Schlumberger for raising production above the current baseline output. Though the contracts were signed in presence of Oil Minister Dharmendra Pradhan, ONGC rescinded them in 2017 on fears of courting controversy for handing fields on nomination basis. Thereafter, the company in June 2017 floated an expression of interest (EoI) from service providers for undertaking production enhancement. Schlumberger Asia Services, Halliburton Offshore Services Inc and Baker Hughes Singapore PTE Ltd were shortlisted as the firms were meeting pre-qualification criteria. Bids were originally sought by May 25, 2018, but saw several extensions and final bids came in a couple of months back. The 15-year Production Enhancement Contract (PEC) will require the oilfield service producer to commit to investing in capital expenditure and operating expenditure to increase production from the existing baseline output. A tariff will be paid in USD per barrel of oil and USD per million British thermal units for gas for any incremental hydrocarbon produced and saved over the baseline. The baseline was to be prepared by ONGC and vetted and certified by a third party of international repute but Schlumberger is seeking deviations in it, the sources noted. All the oil and gas produced will belong to ONGC and the service provider arrangement is being entered into to get the best technology available, they added. Besides Schlumberger, Halliburton and Baker Hughes, ONGC was also in talks with Weatherford International. The sources said based on the experience of Kalol and Geleki, the PEC model may be extended to other onshore fields.